We’re all looking for clean energy, aren’t we? My 10:00 snack monster is getting me in trouble. Since we eat breakfast early (6:00), by 10:00, I am usually a little hungry. Not ravenous, but hungry enough that I am tempted by poor choices. Enter, our volunteer check-in desk. This area where our volunteers come and check in before beginning their work is usually laden with cookies, candy, cupcakes and crackers. It is an area of sabotage, and I have fallen prey more times than I care to admit. I fuel up on sugar and processed flour and am hungry again in no time. So, I am committed to stay away from that trap of highly processed food and refined sugar, and come prepared with healthier alternatives. 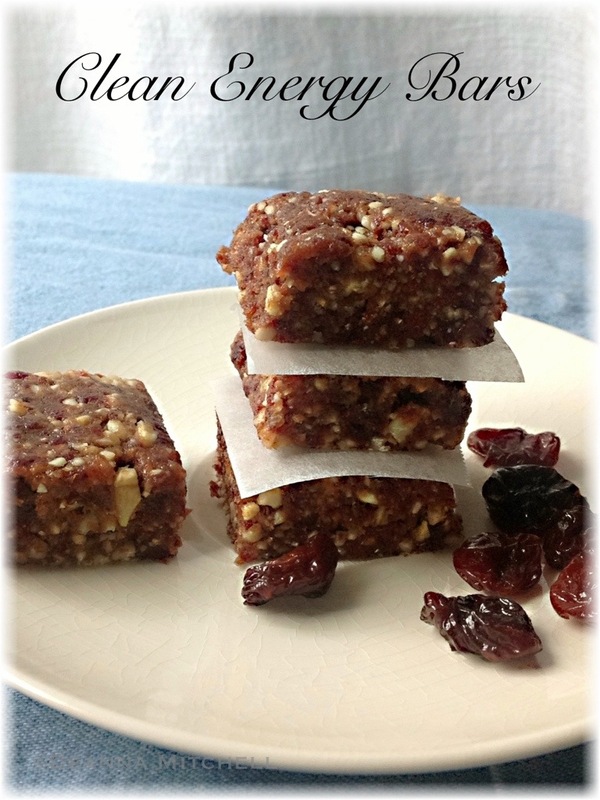 Like apples, cheese and these energy bars! I love the energy bars sold at Trader Joes and Whole Foods, but many of them have preservatives and filler carbs that aren’t so great. But when I’m craving something sweet, an apple doesn’t always cut it for me. These energy bars are terrific–they taste good, give me the sweetness I crave occasionally and have only three ingredients! The secret is using pitted dried dates. They add fiber and sweetness with no refined sugar. You can switch out the nuts and the other dried fruit, but keep the dates–they bind everything together. Depending on your preference, you can cut these into 12 squares (2″x2″) or 6 bars (2″x4″). Each square is 120 calories and each bar is 240 calories. So, these are not something you want to chow down on, but they are very satisfying, with more protein and fiber than a brownie–and NO refined flour or sugar. This recipe idea came from The Kitchn! Add the dates to the bowl of a food processor and pulse until the dates are sticky and chopped fine. Add the almonds and pulse again until the almonds are finely ground. Add the dried cherries and process at high until the mixture is completely chopped and is sticking together in a ball. Remove the mixture to a piece of plastic wrap and press into a square about 8″ x 8″. Wrap and put in the refrigerator for at least 1 hour. 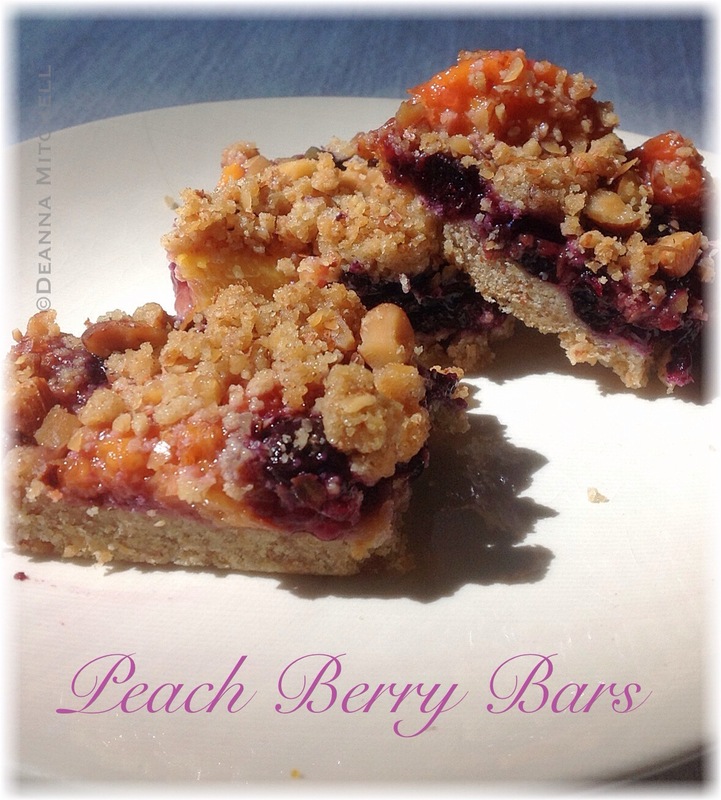 Remove from the refrigerator, unwrap, and cut into squares or bars. Store in the refrigerator for up to 1 week in an airtight container. NOTE: You do not have to keep these refrigerated, but if left at room temperature, they will have a softer texture.